After the Spider-man outfit I featured in this post, this look has got to be my favorite. 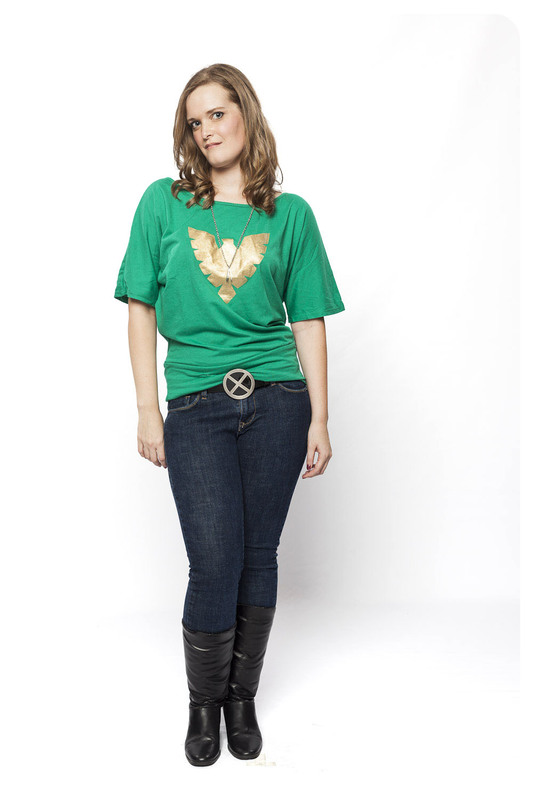 I wanted to capture my love of the X-men into one look that was centered around my Phoenix top. Featuring boots, a DIY top, and some great accessories, this X-men inspired look is perfect for Fall! The top is definitely the most prominent aspect of this outfit. For those who have been following us since the beginning, it should look familiar. However, if you’re new around here, I posted a DIY Friday on how to replicate this look. I specifically choose a top that was more on the fashionable side rather than just choosing a green t-shirt. 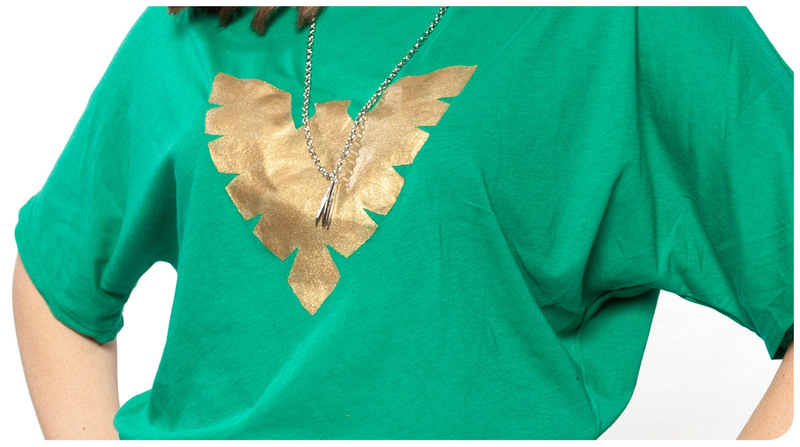 If you’re not feeling up to painting a top, WeLoveFine has this Phoenix t-shirt, and you could even alter it a bit using a tutorial like this. Once again, I looked to JewelM for my Marvel jewelry needs. I decided to go for the Wolverine Claw Necklace and the X Half Hoop Earrings. Since many X-men costumes feature the iconic “X” symbol, I wanted to add that element to my outfit. This belt buckle fit that bill, and I paired it with a simple black belt. If you want something more handmade, this Storm inspired necklace is gorgeous and these acrylic cut earrings definitely make a statement. For this look, I wanted to make sure I didn’t detract from the top too much, so I paired it with a pair of dark skinny jeans. 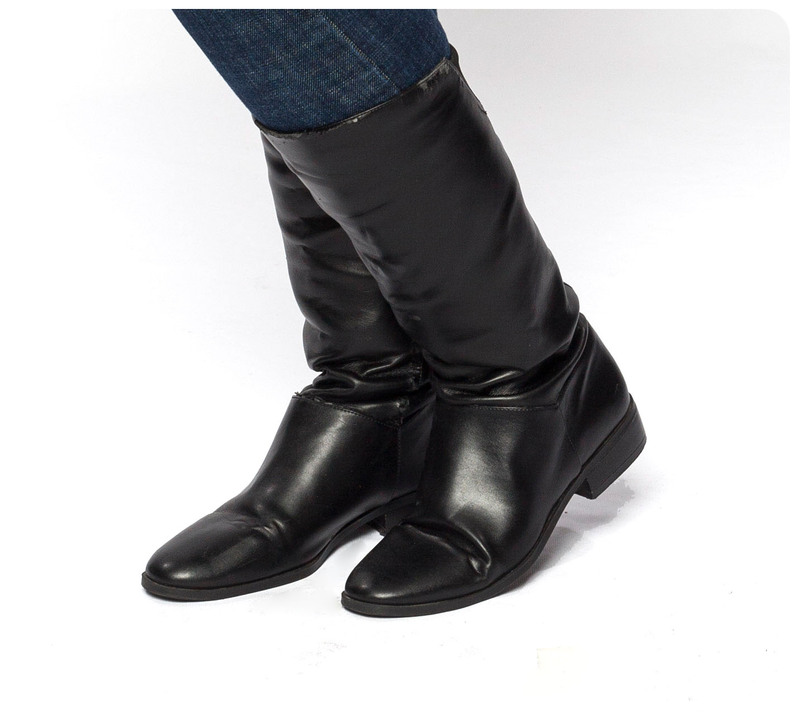 I also went with skinny jeans so that they would fit into my boots better. I decided this look would look great with a pair of boots and these black boots felt like something a superhero might wear. Of course you could always dress this look up with a pair of heels, or even add some strappy sandals. I’m already collecting some items for a second X-men themed outfit since I loved this one so much! As always, if you’ve put together your own geek chic look, send pictures our way. We’d love to feature you on our Facebook page.